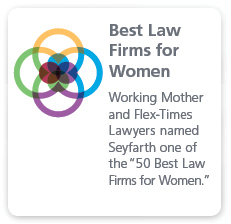 Employers have long depended on the experienced attorneys in Seyfarth Shaw’s Retirement Plans practice to retain top talent by designing competitive retirement plans for their total compensation packages. We help our clients navigate their complex legal obligations under ERISA, the Internal Revenue Code, and other laws, while always striving to achieve the best positions to defend against future claims. We routinely represent our clients in complex audit and correction matters requiring negotiations with the Internal Revenue Services, Department of Labor and Pension Guaranty Corporation. We represent some of the largest and most well-known businesses engaged in the manufacturing, retail, healthcare, insurance, financial services, and other industries. We routinely advise companies on the full spectrum of legal and operational issues related to all types of qualified and non-qualified retirement plans, including traditional defined benefit plans and cash balance pension plans, 401(k) plans, Employee Stock Ownership Plans (ESOPs) and profit-sharing plans. Throughout, our attorneys track changes in the complex legislative requirements and agency regulations to ensure that our clients maintain compliance and avoid costly liabilities. Our attorneys regularly help companies manage the legal and financial risks associated with their defined benefit plans. We are particularly conversant with the unique challenges of “hybrid plans,” such as cash balance and pension equity plans. Our attorneys have a deep understanding of the complex legal issues and potential pitfalls surrounding hybrid plans that allow us to strategically help our clients mitigate their risks while achieving their business goals. Our experienced pension attorneys include individuals with backgrounds in related fields, including prior careers with various government agencies, as well as accounting and actuarial firms. Where necessary, we bring to bear experienced ERISA litigators to assist in assessing alternative strategies and solutions. We are also focused on the area of defined contribution plans, including their design and operation. With a business-oriented approach, we help companies design plans that reduce administrative burdens and costs, coordinate with other retirement plans, increase employee participation rates, and address non-discrimination testing risks. Clients also benefit from our seasoned counsel on plan fiduciary considerations, including 401(k) fee issues and the maintenance of company stock funds. 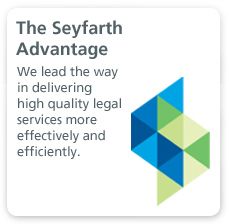 We provide retirement plan administration services through Seyfarth Benefits Consulting Group. 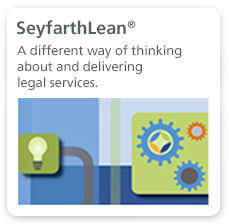 A different way of thinking about, and delivering legal services.